York County, PA, is a great location for both day-trippers and new homeowners alike. Located in South-Central Pennsylvania’s Susquehanna River Valley, York County has a lot to offer, no matter your age. More than 440,000 people call York County home, and it’s easy to see why. Despite its large population, York has a little bit of everything. While it embraces its history of agriculture, York has established itself as a center for business and manufacturing. With high-quality schools, an active nightlife and a friendly community, it’s easy to see what draws people to the area. However, one of York’s hidden gems is its parks. No matter what your interests, there’s at least one park that’s perfect for you in York County. Depending on the location, you can hike, fish, bike, let your kids run loose and even bring your canine companion. So why not take a trip and see for yourself just how amazing they are? Before you head out, make sure you know the general park and trail rules and regulations. Unless otherwise noted, the parks are open from dusk to dawn. Alcohol, fireworks and littering are prohibited. While you’re allowed to use tabletop gas stoves at the park tables, charcoal stoves and grills are against the rules. And although it goes without saying, you should avoid harming the plants, animals and natural structures of any place you visit. Rocky Ridge Park has the honor of being the first county park in York. Acquired in 1968, this historic area was home to some of the county’s original settlers. Covering 750 acres of beautiful oak forest, Rocky Ridge Park offers hiking trails of various difficulties, along with picnic areas. You can also bring your mountain bike, as the York Area Mountain Bike Association maintains the trails. If you’re a novice hiker, Sue’s Trail is a level path following the ridge. More experienced trekkers can choose from a fitness trail and harder hikes that cover more of the ridge. The trails interconnect occasionally, so it’s easy to customize your hike. And be sure to check out the northern overlook for a breathtaking view! Rocky Ridge Park is also locally famous for their annual Christmas lights display. Officials at the part work together to set up the display of more than 600,000 lights. Although there’s a small entry fee — $8 for adults — a quiet stroll through the lights is a great alternative for people with mobility issues who can’t hike. Plus, you’ll help support a tradition that goes back over three decades. If you’re into scenic hikes, Mill Creek Falls — part of the Mason-Dixon Trail — should be on your short list. The trail is located near Holtwood Dam, though it takes a bit of driving to get there. To get to the trailhead from downtown York, you’ll want to exit onto River Road just before the Norman Wood Bridge. After a mile, you’ll cross a bridge and come to the trailhead. Although it’s unmarked, you’ll know it when you see it. The hike from the trailhead to the falls is pretty short, but there’s ample opportunity to explore the falls themselves. Be careful, though, as the banks are steep. If you’re a budding photographer, these falls offer a great opportunity to practice both distance and up-close shots. As the trail continues past the falls, you’ll also run into some small cascades and another waterfall, for additional photo opportunities. Hiking along this trail would be a great activity, both solo and in a small group. However, this isn’t the most kid-friendly hike available, due to the steep sides of the falls. Teens will be OK, but young children may get over-adventurous and injure themselves. With two lakes, 1,637 acres of land and ample amenities, William Kain County Park is ideal for a family fishing outing. Established in 1977, the park encloses both Lake Williams and Lake Redman. The park itself is made possible thanks to a lease agreement between the York County Parks and The York Water Company. Both Lake Redman and Lake Williams offer many game fish — sunfish, pike, largemouth bass and stripers, to name a few. Even better, the lakes allow shore and boat fishing. You can either bring your own boat to the boat launches or rent one there. Kids may prefer rowboats and paddle boats, while there are kayaks for more adventurous folks. Besides fishing, the park also has pavilion and picnic areas — a boon if you plan to bring your lunch. If you want to take a break from fishing, there are also trails open to hiking, biking and horseback riding. Whatever you decide to do, remember to pack sunscreen! You won’t be able to enjoy yourself if you’re as red as a lobster. Codorus State Park is in southern York County, and covers an astonishing 3,500 acres. Nearly a third of that is taken up by Lake Marburg. With a full 26 miles of shoreline, the lake and neighboring Codorus Creek are a favorite of local fishermen. Common catches include largemouth bass, northern pike, muskellunge and yellow perch. What’s better is that if the bass meet the minimum 15-inch requirement, you can take home up to four. If you’re brave enough, you can even ice fish in the winter. Lake Marburg is also a popular place for boating, offering seven launch ramps at several locations around the lake. The park allows both motor and non-motor boats, provided they meet state regulations. You can even rent one if you don’t have your own. Codorus State Park offers a host of other activities, including camping, disc golfing and hiking more than 19 miles of trails. Because of all the fish, the area is a prime location for birdwatchers who want to see some waterfowl. There are also plenty of educational opportunities available through some of the park’s many environmental programs. Winter brings activities like sledding, cross-country skiing, iceboating and snowmobiling. Located in Southeastern York County, Muddy Creek offers some of the best fly-fishing in the area. The creek takes its name from neighboring town of Muddy Creek Forks, a historic town home to the MA & PA Railroad Preservation Society. Accessing Muddy Creek is quite easy, as there’s parking available in town. You can start off fishing about a mile up- or downstream. As the town is located where the North Branch Muddy Creek splits into two smaller creeks, you have plenty of options. Just be sure to note the fishing policy here is strictly catch-and-release. If you want fish for dinner, you’ll have to stop somewhere on your way home. Bikers, take note — the Heritage Rail to Trail County Park has some of the best cycling around. The park is 21 miles long and spans 176 acres. What makes this park unique is the trails run alongside historic train tracks, some of which are still in use through the Steam into History program. The trails are exceptionally wide and made with compacted stone, making them perfect for bicycling. Depending on your starting point — and endurance — you could bike as far as 21 miles on these trails. Doing so would take you down to the Maryland state line. The park also has special events just for cyclists. One, called the Sunset Scramble Bikeride, is an evening group ride covering around 12 miles. Another event, the Moonlight Bike Ride, starts even later in the evening and covers up to 10 miles. While you’re at the park, you may also want to check out Steam into History. This nonprofit operates a steam train on the historic rails and uses it to educate visitors on York County’s role in the Civil War. Abraham Lincoln even stopped off at Hanover Junction to change trains. There’s much more to the history of the area than that, but you’ll have to pay it a visit to learn more! If you’re looking for a bit more of a challenging ride, pay a visit to Spring Valley Park in Glen Rock. Covering 868 acres, this park offers several multi-use trails — open to bikers, hikers and horseback riders alike. Take note, though— the trails may close if the weather has been too wet. Besides the trails, the park also fishing areas, horseshoe pits, a dog training area and even horse show and practice rings available for rental. This makes it great for families as well. If some members don’t want to go biking, there are plenty of other activities for them to participate in. Located in Springfield Township, Richard Nixon Park covers 187 acres of land, ranging from meadows to aquatic niches. Although the park does offer hiking trails, its crowning jewel is its Nature Center and educational programs. Opened in 1980, the Nature Center features a host of exhibits for eager young minds, including a honeybee hive, a touch room and live animal demonstrations. If you schedule ahead, a staff member can take you on a guided nature walk. The Nature Center also offers programs every Sunday in April through October, and hosts themed programs throughout the year. If your children are nature lovers — or you just want them to learn more about natural topics — this wellspring of information is too good to pass up. If your kids are into sports, they’ll love the John Rudy County Park. George and Viola Rudy Williams donated the park to York in 1973, in memory of their grandparents. Located in East Manchester Township, this park has sand volleyball courts, a cross-country course and both soccer and softball fields. There’s also plenty of open space, perfect for any other activity they’ll want to do. Because of all the sports facilities, the John Rudy Park is ideal for sports gatherings. If your children are on any kind of sports team, consider proposing a group outing to the park. You can rent a pavilion for a small fee, and the team will have access to the whole park. In addition to its sports facilities, the park is also home to the Demonstration Gardens. These gardens, managed by the York County, PA Master Gardeners, showcase everything from flowers and vegetables to small shrubs. Youth are welcome to volunteer to help care for the gardens. All the food harvested goes to the York County Food Bank and the Catholic Harvest Pantry. Anyone interested in gardening would be doing themselves a disservice to miss out on this collection. If you have young children who love to jump and climb, you’ll want to check out Kids Kingdom. Located in Hannover, the Kingdom is a castle-shaped playground featuring plenty of equipment. Besides the fort itself, there are swings, balance beams, monkey bars and slides. The park is in a relatively wooded area, ensuring plenty of shade to keep the kids cool. If you have older teens, consider bringing along a Frisbee or other game, as there’s plenty of open space. There are also several benches, perfect for tired parents. For a relaxing day, consider bringing a picnic lunch to eat under a tree. Just make sure you take all your trash with you on your way out. Now that we’ve been over parks for humans, let’s go over some options for our four-legged friends. It’s important to note that when taking your dog — or other pet — to a park, you have to follow specific rules and regulations. Typically, your pet won’t be allowed inside buildings, swimming areas, some camping areas and any location where they’ll scare the wildlife. Your dogs should be well-mannered and not hostile around other dogs. They should have all their shots and always be leashed, unless you’re in a designated no-leash zone. And it goes without saying that you should pick up and dispose of their waste. Canine Meadows is perhaps one of the best dog parks in York County, PA. Open dawn until dusk, the park is divided into three play areas. The size of your dog will determine which of the three areas you visit. These areas — measuring between 2 and 6 acres — are fenced in to ensure the dogs remain separate. Once inside the fences, the park is off-leash, so your pup is free to roam, play and socialize with other dogs. The park is so comprehensive Dog Fancy magazine voted it No. 20 on its list of the best dog parks in the nation. The park itself has a reputation for being clean and well-maintained, making it a favorite for local dog owners. The park has drinking water available, and the waste receptacles are clearly marked. As part of a $150,000 Greenway, Trails and Recreation grant received in 2016, the borough of Glen Rock added a dog park to their local community park. Covering a little under an acre, the park sits alongside pre-existing ball fields. Other parts of the project updated play equipment and pathways to make sure they were up to safety standards. The dog park opened in June 2017, giving local dog owners a chance to let their pups roam free. There are many appealing aspects that draw people to live in and visit York County. It has just about everything you could want — strong roots, a growing business sector and great people. For outdoor enthusiasts, the parks are what really make it shine. From state parks to county parks and multitude of local ones, there’s truly something for everybody. So why not take time to plan a trip to a York County park today? 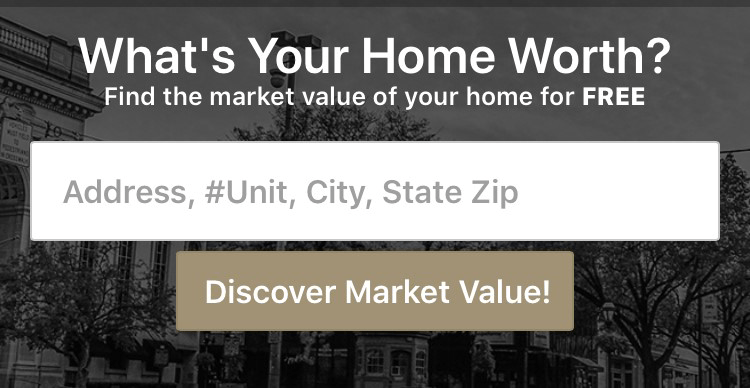 If you like what you see, CENTURY 21 Core Partners is here to help. They recognize that buying a home is a strenuous task, especially for first-time homebuyers. Century 21® gives you the upper hand with finding the perfect house for you. Their agents know York County, and will be able to give you expert advice on what neighborhoods are best suited to you. And this means meeting your goals — whatever they may be.